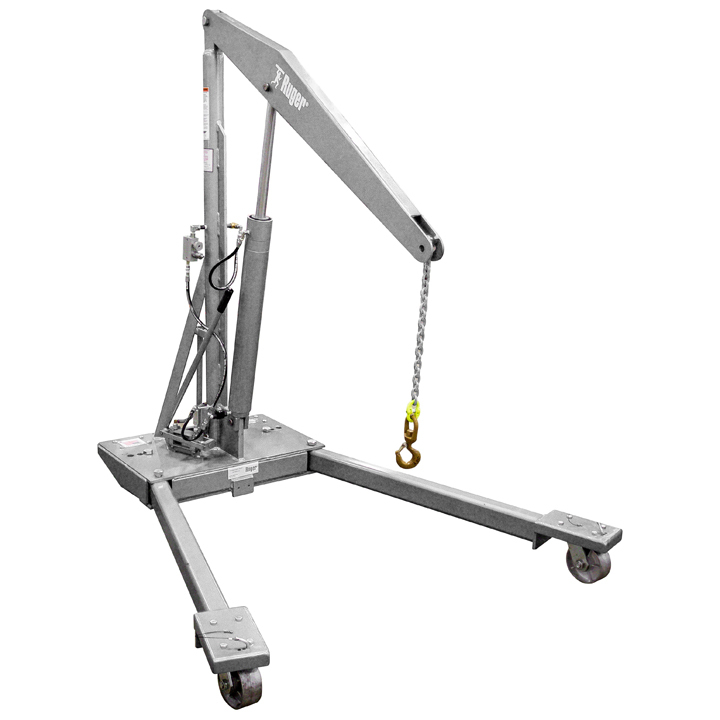 This heavy-duty Stainless Steel Counterbalance Crane allows you to easily manipulate even the heaviest and most awkward loads. 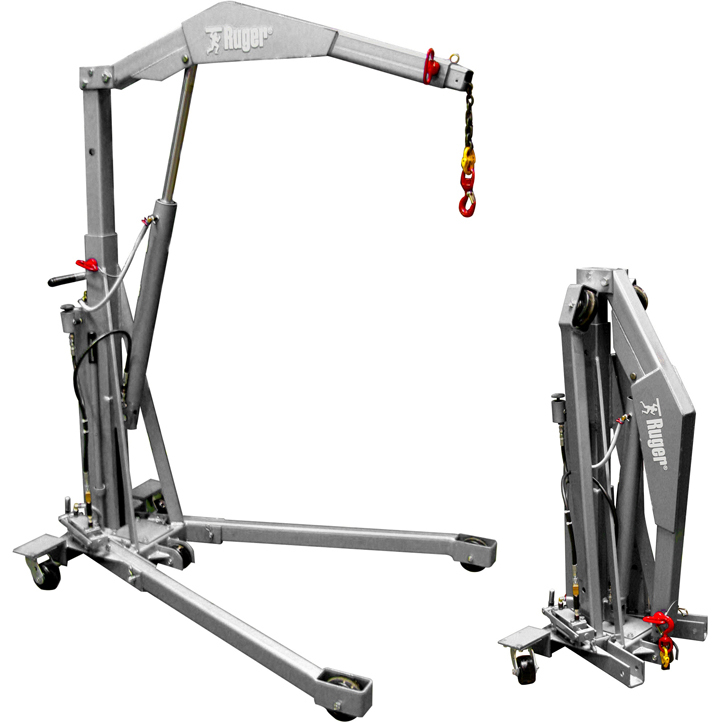 Its counterbalance design provides up-close access for easy loading or stacking. 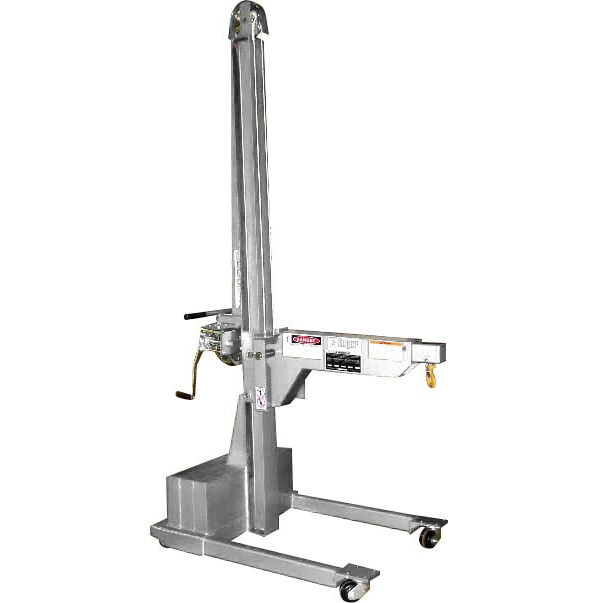 RC-500R 500 lbs. 30-1/2" 41-7/8" 53-7/8" 1" 98-1/4"
RC-750R 750 lbs. 30-1/2" 41-7/8" 53-7/8" 13" 103"
HP-1000R 1,000 lbs. 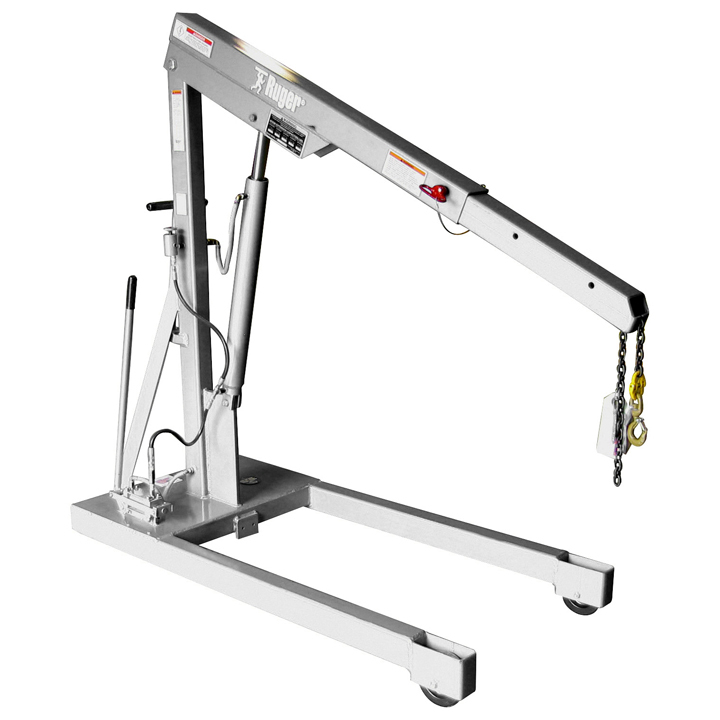 31" 42" 54" 21-7/8" 108"
When wide awkward loads present a problem, Ruger’s Stainless Steel Counterbalance Cranes are the solution. 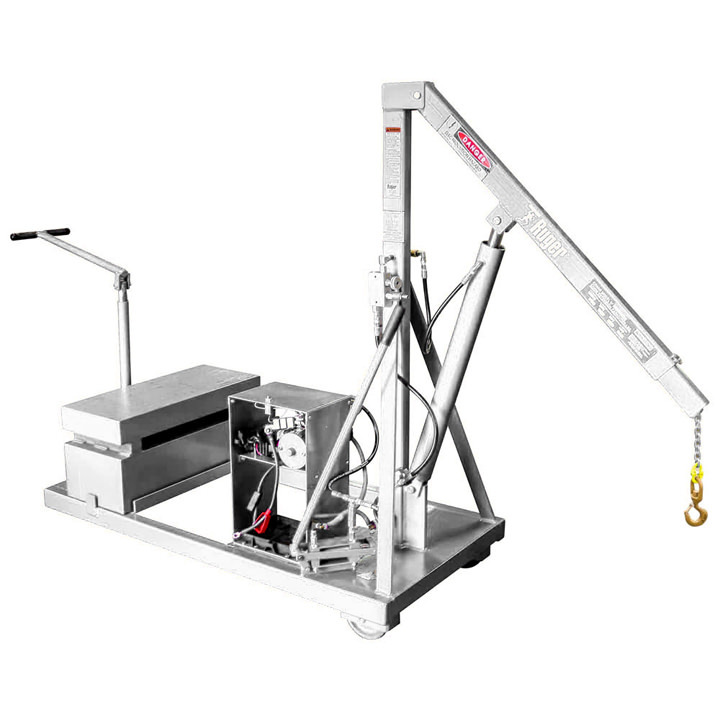 These cranes are specifically designed for handling these types of loads and meet the requirements of working in clean rooms, pharmaceutical facilities and food processing environments.